Ok guys, say it with me… I Love Pizza!!! I have some diet restrictions, but don’t think for a second that was going to stop me from having my beloved pizza. So I came up with this pizza recipe. Just by making a few swap outs, this is a much healthier alternative, and so much easier than you think! In the meantime add the flour to a large mixing bowl. Also sprinkle some flour on a flat surface where you can knead out the dough once it is ready, I just use my granite countertop. 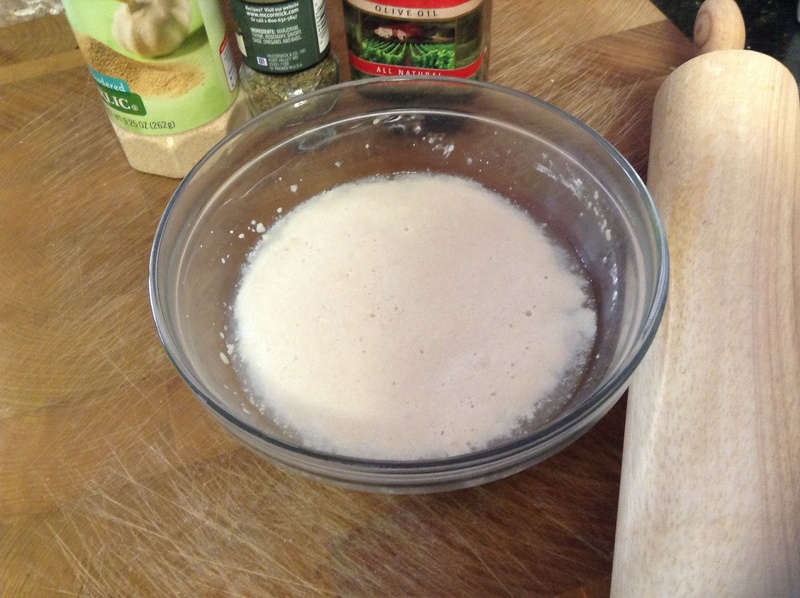 Add the salt, garlic powder and Italian seasoning into the flour mixture and mix together. This will give so much FLAVOR to the dough by adding spices directly into it. (I bet you’ll smell it once you cook it later). 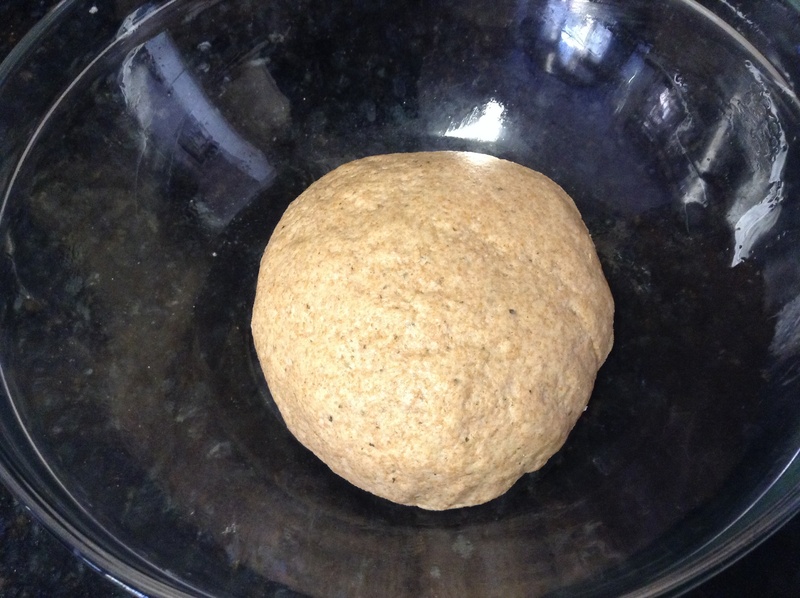 Pour the yeast mixture and olive oil to the bowl. Before we get our hands dirty, now would be a good time to remove those rings (I always have to remind myself of this step). Take a fork and start to pull away at the edges and start to mix in toward the center. Now get your hands in there and start mixing, time to have fun and play with the dough…hey it’s grown up playdough ;). 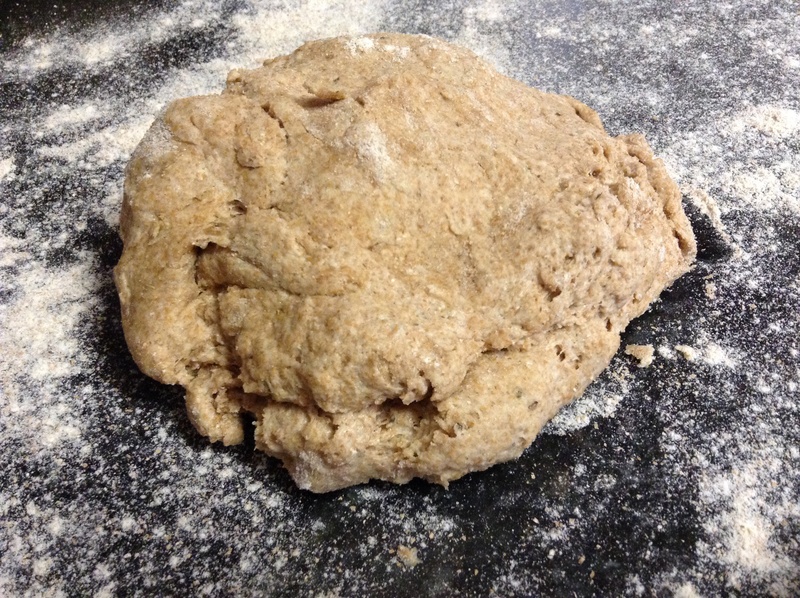 Transfer to a floured surface and knead for 3 minutes, use the heel of your palms to keep kneading and folding it. Take out some aggression, this is the fun part. (Warning: you may start to feel like Giuseppe from you local pizzeria and feel tempted to toss the dough in the air…trust me, not a good idea ;). )Transfer to a bowl greased with olive oil. Turn over so it coats the dough with the oil and cover with saran wrap. Let it rise for 1 hour (up to 2 hours). Again set a timer! You will see the dough double in size. 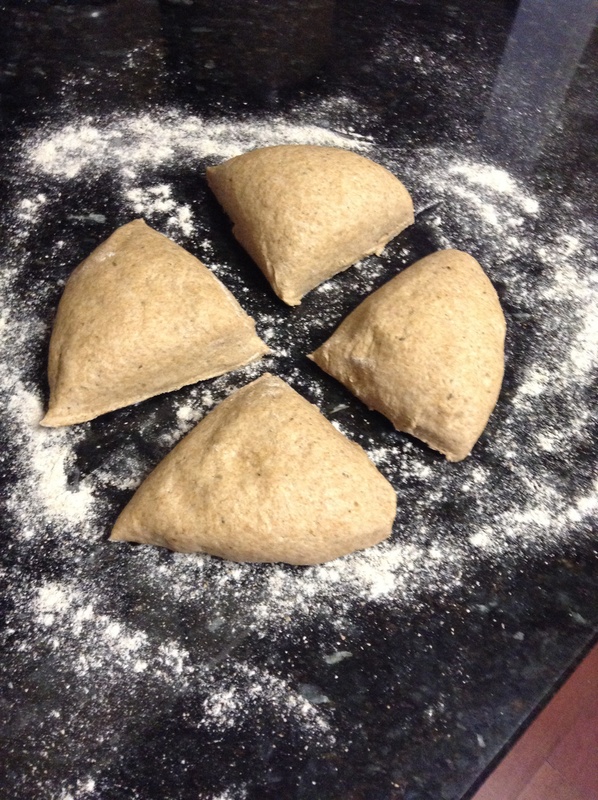 Once it has risen, turn out the dough onto a floured surface. Form into a ball. Next it’s time to use a bench scraper (or knife) to cut the dough into 4 sections. You can cook one right away (which I’m sure you’ll want to, I can’t resist either) but they can be also be stored in the fridge or freezer. If you store them in the freezer, you can transfer them into the fridge one at a time the day you want to use it, it will defrost in 5-6 hours. If you store it in the fridge it will last 3 days. Now top with sauce, cheese, and toppings. It’s time to have fun with your toppings, go crazy. 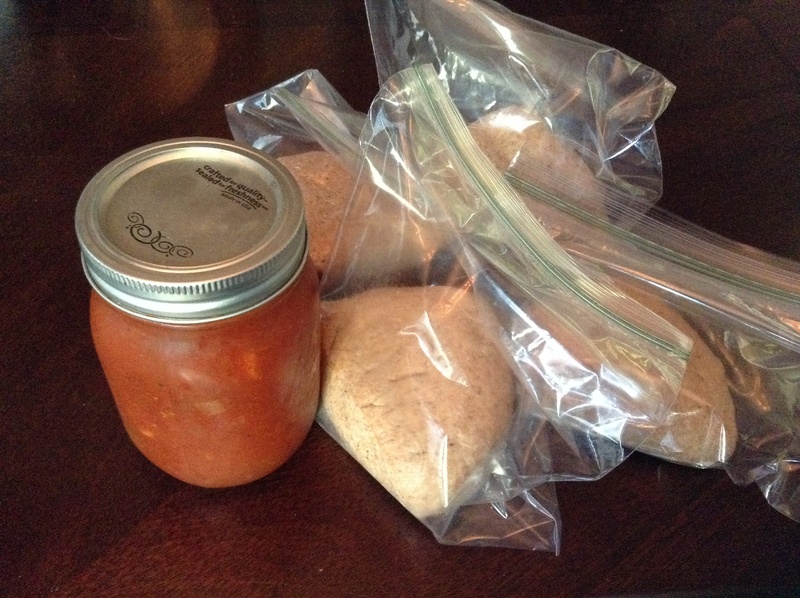 Check out my easy homemade tomato sauce to use with this recipe in my blog, they go perfectly together. I like to sprinkle the top of the pizza with some Italian seasoning for added FLAVOR. 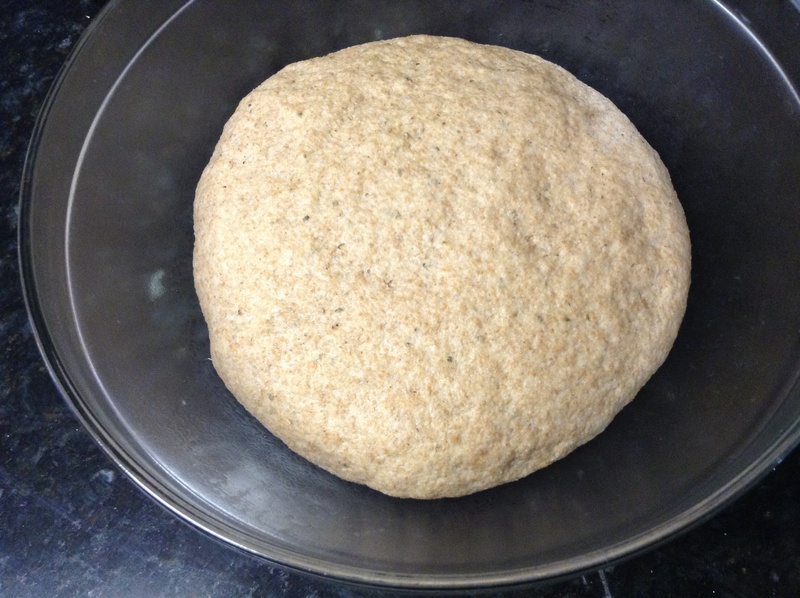 Next lightly brush the edges of the dough with olive oil, this will create that delicious crispy crust. 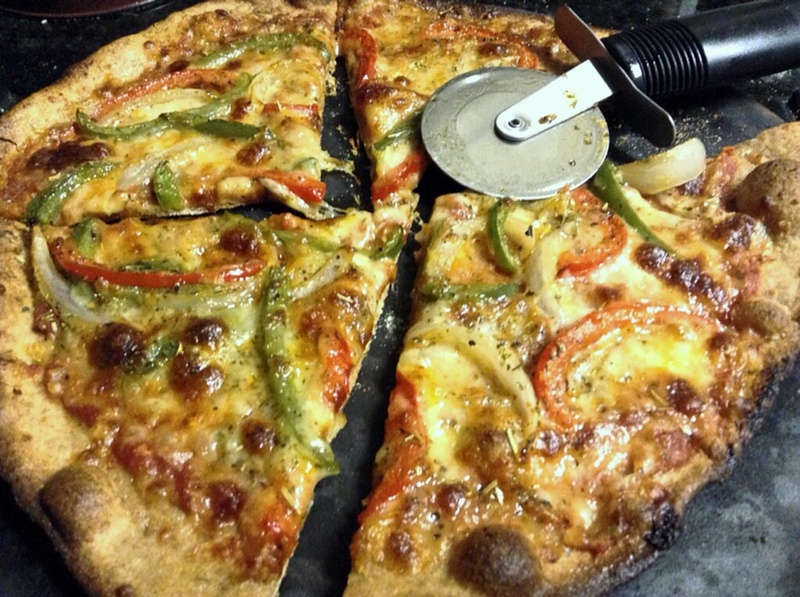 Slide onto the pizza stone with a large spatula and cook for 7 minutes on the bottom rack of the oven until brown and crispy, rotate half way through. Pull out and let cool. Cut and serve, It’s pizza time!